I adore cats! 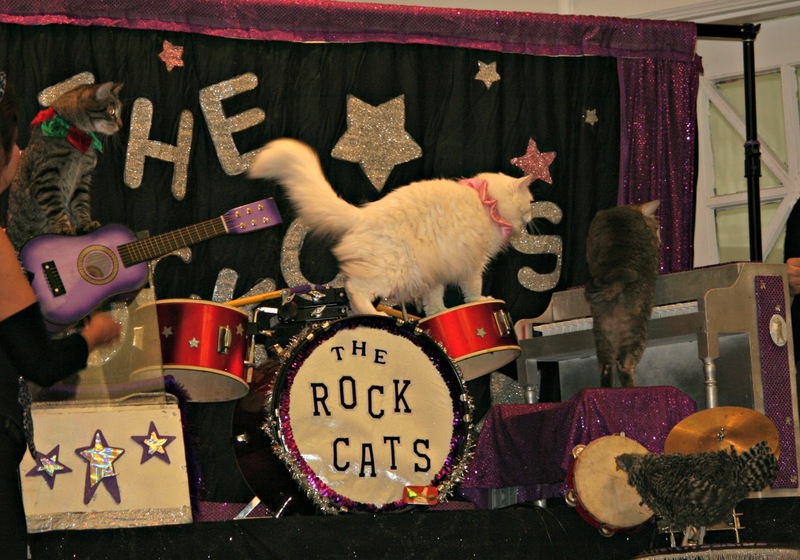 This show would have cracked me up, and how wonderful that part of the proceeds went to a no-kill shelter! I've always loved cats. 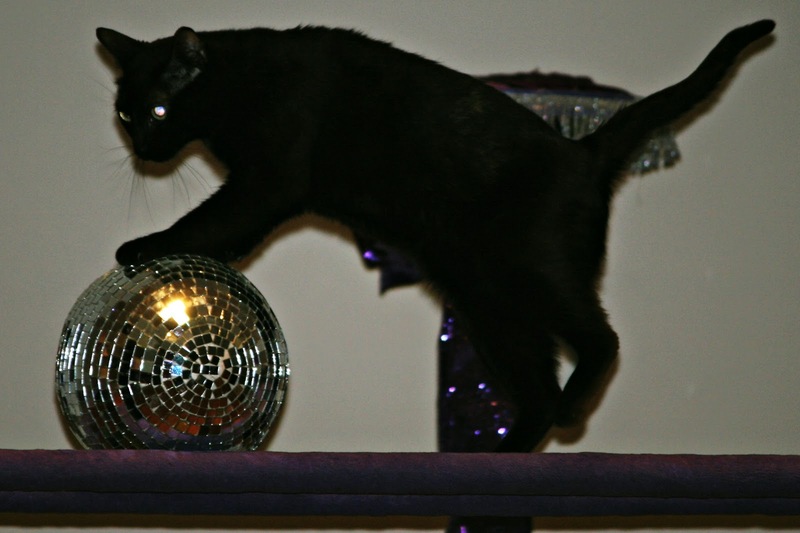 I had a cat, Jennifer, who loved to play fetch just like a dog. And then there was Sparky, the orange tabby super cat. My friends and I were standing by the road when, to our horror, Sparky was crossing just as a car came by and SLID both tires over him! He popped up like nothing happened with no injuries whatsoever. 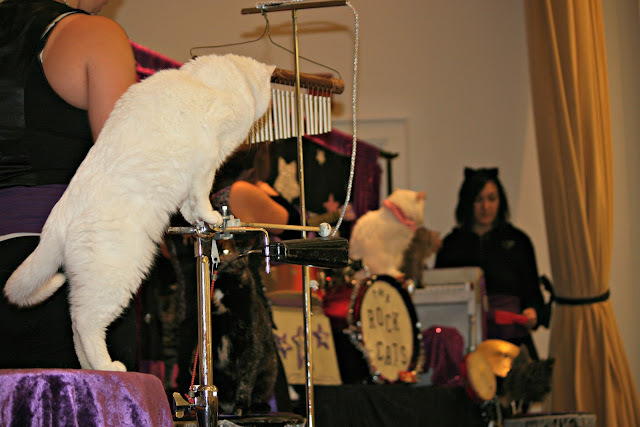 I've never heard of a cat show like this before, but what a wonderful way to raise money for the shelter! What an event! I haven't seen anything like. It looks like fun. Looks interesting, though I don't like circus, I always have this feeling that animals are being mistreated.. probably or hopefully not the case, but..
How fun.... cats are so hard to train too... well, at least for me they have always been hard to train. I guess this lady knows what she is doing. Oh my gosh, I would have LOVED this! I have never heard of such a thing. If you tell me the name, I will Google it, maybe they will come around here or nearby. And you caught them going through hoops, awesome!!! ALL the pictures are really good! Why did Pierce change his mind? 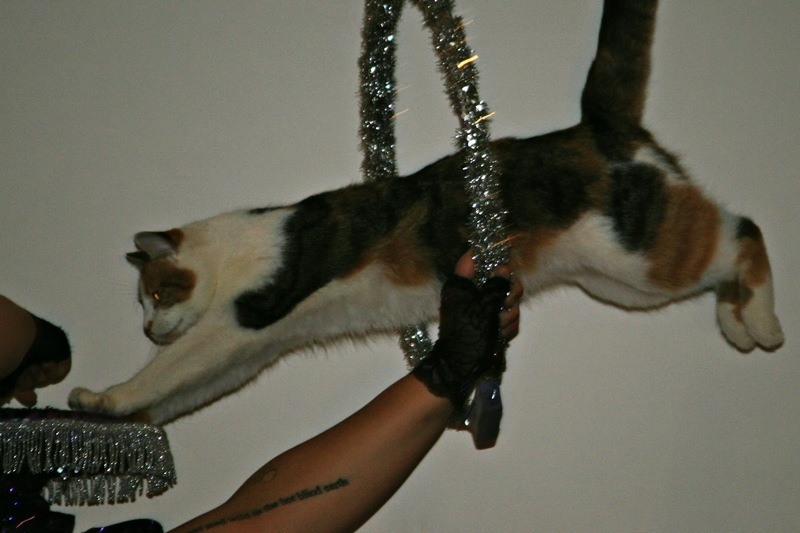 I found it on Google, it is Acro-Cats. They live in Illinois and travel all over most of the country! I will settle for the video on their website. Anyone who can train cats could run a business or even the UN. I like cats but they seem to be one of the animals that think they should be treated as equals and so do so when I can, feed them, pet them and then let them go and do as they wish. haha I have never heard of a show like this, bet it was great. What a wonderful afternoon with your guy. We are more dog peeps over here but once we have a barn i'm sure cats will follow. I'm more of a dog person, but I find these kitties, and the other animals pretty hard to resist! Hahaha! What a funny, but FUN concept! I'm glad it was entertaining. I'm still laughing about "Gregory Peck." That actually looks like it was a fun show! Hope Cort enjoyed it too. Well, gee whiz Lisa -- you have all these animals at home. You could start your own traveling show. Just kidding -- the chicken on the tambourine would crack me up as well. This Bear is definitely not a lover of cats. They kill way too many songbirds. As in 200+ per year, per cat. There was recent research on that. 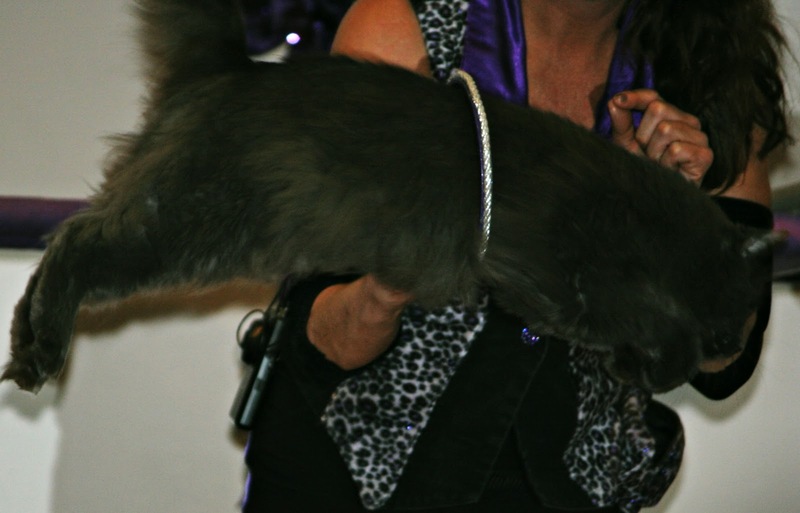 Although Sunday's event does bring a new meaning to the words "Cat House." I'm glad you and Cort had a great time though. My mom would have LOVED this! LOL! This looks like it would have been so fun! 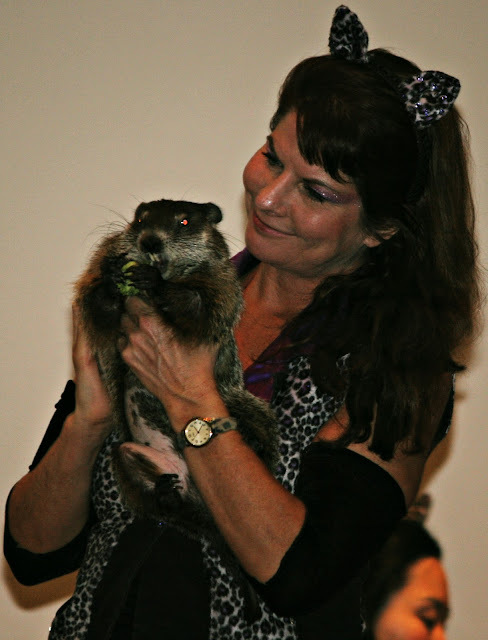 Love these pics and the groundhog!!!! I would have loved this show. 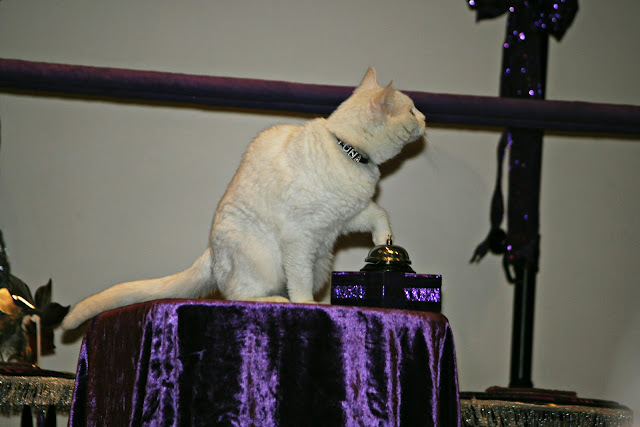 And how great that some of the cats are rescues, and part of the proceeds go to a very good cause. I bet it was fun to be surrounded by other cat lovers. 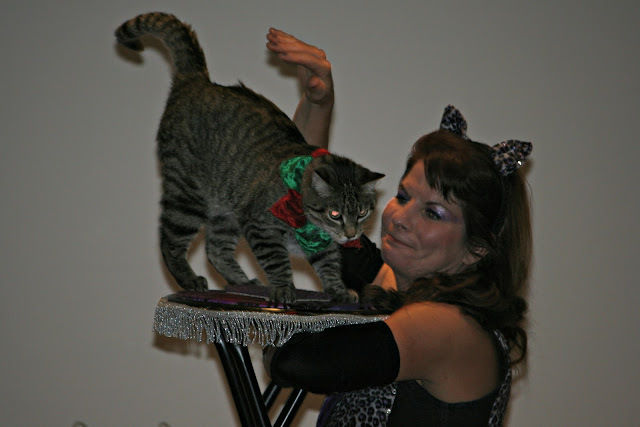 And to have the kitties come out into the audience. I would have enjoyed this! I am a cat lover. I would have liked to see that show. Its great part of the proceeds goes to a no-kill shelter. 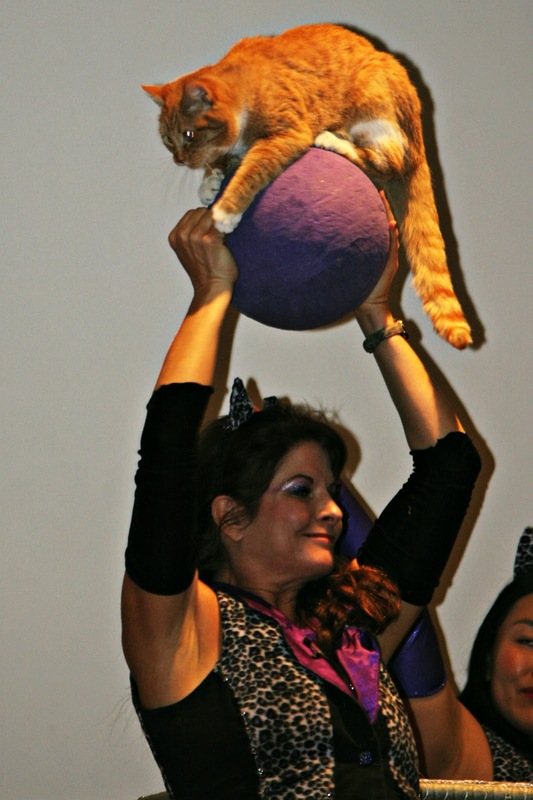 Now I want to go to a cat circus. A few minutes ago I didn't know they even existed! 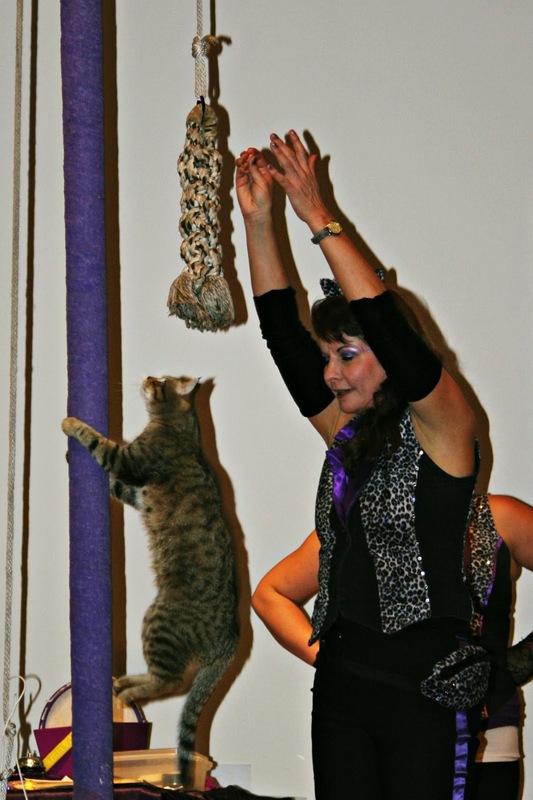 I never heard of a cat circus but it looks like fun! I would have went with you! I LOVE that sorta dorky stuff. Love the outfit on the lady---wow. Nice cat ears. 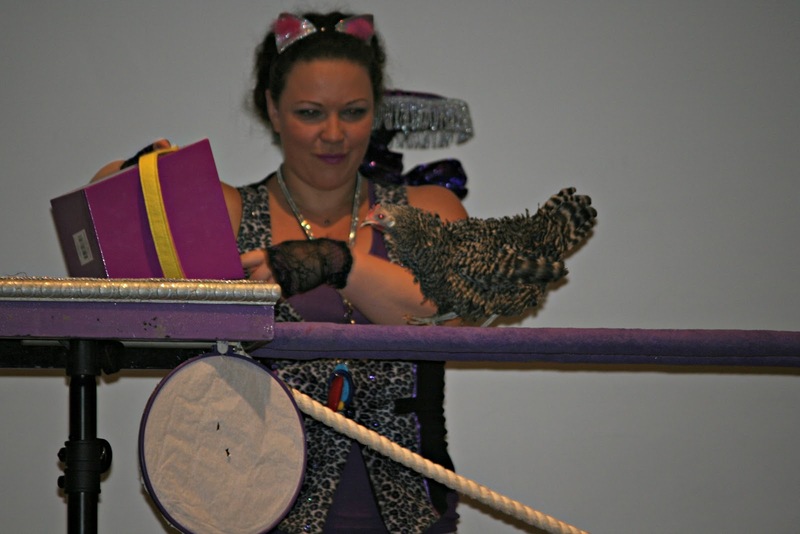 me and my daughter once went to "Hedgehog Olympics" held at a nearby hotel. You bet I went in after seeing the sign--I HAD to see what that was about. Yeah, it was hilarious.